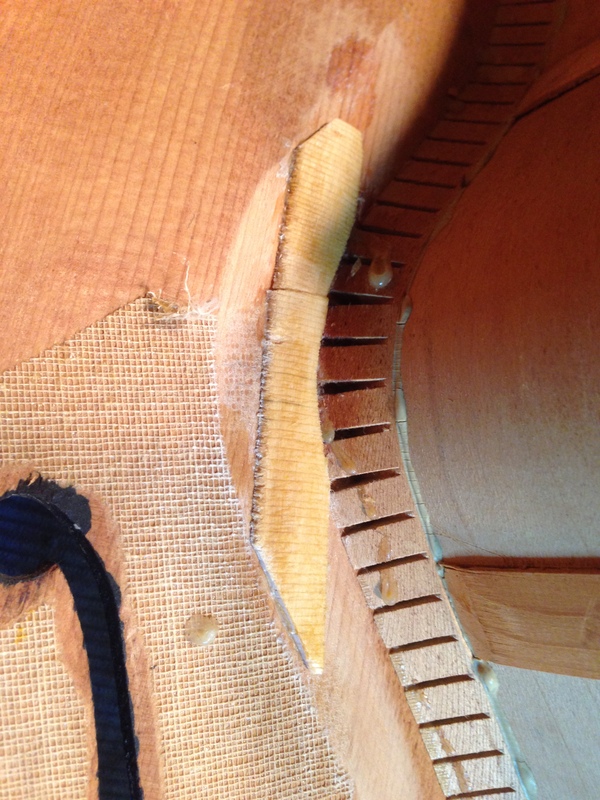 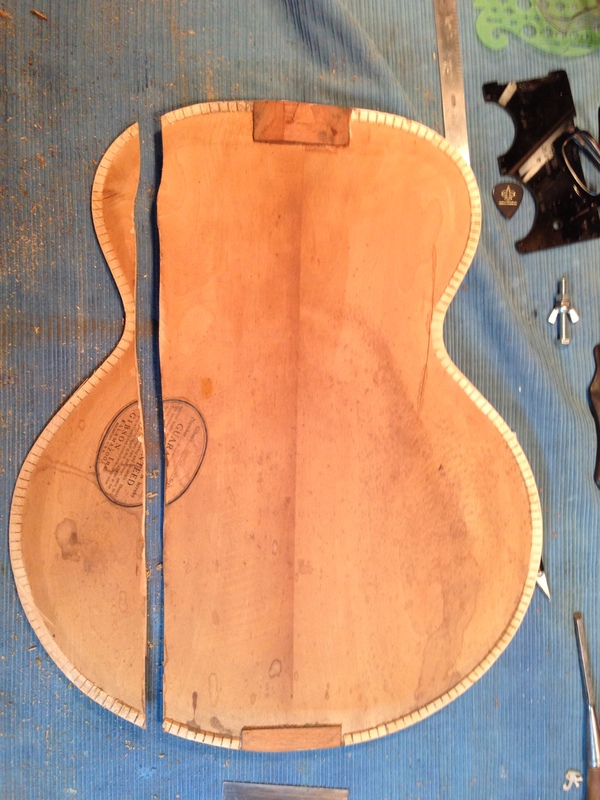 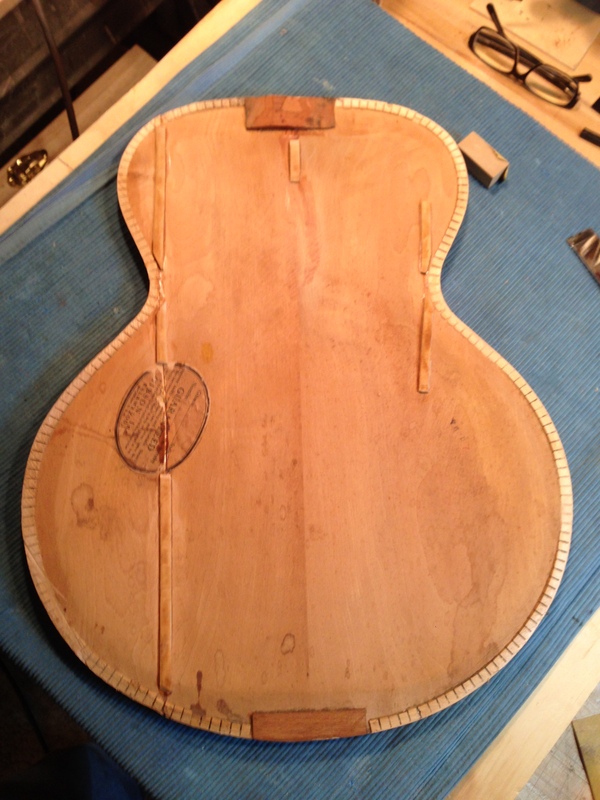 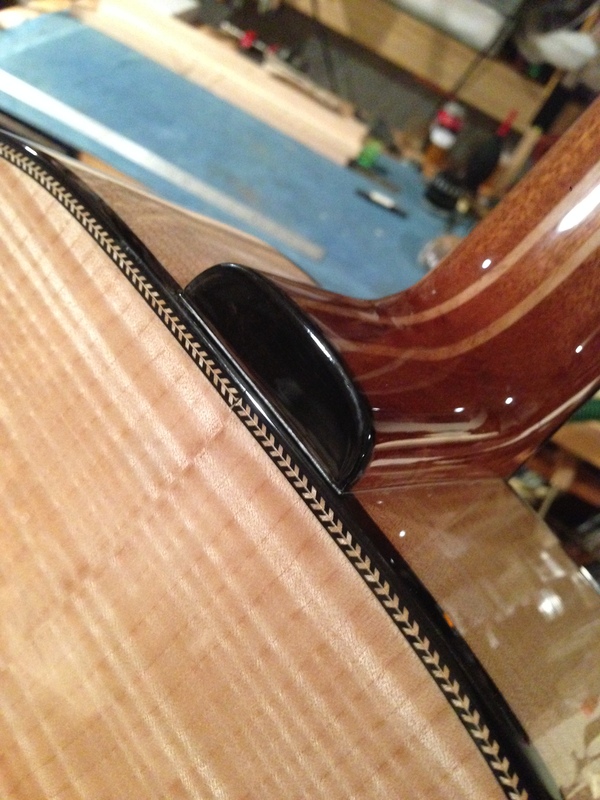 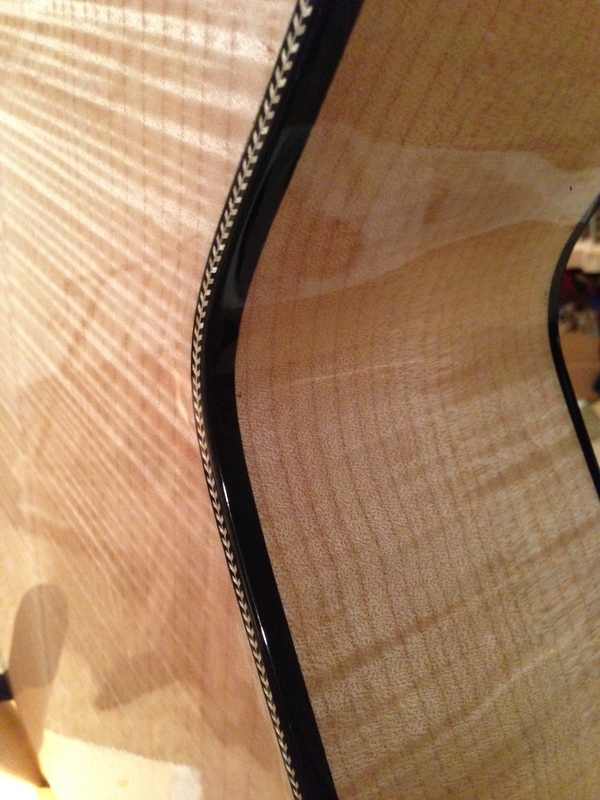 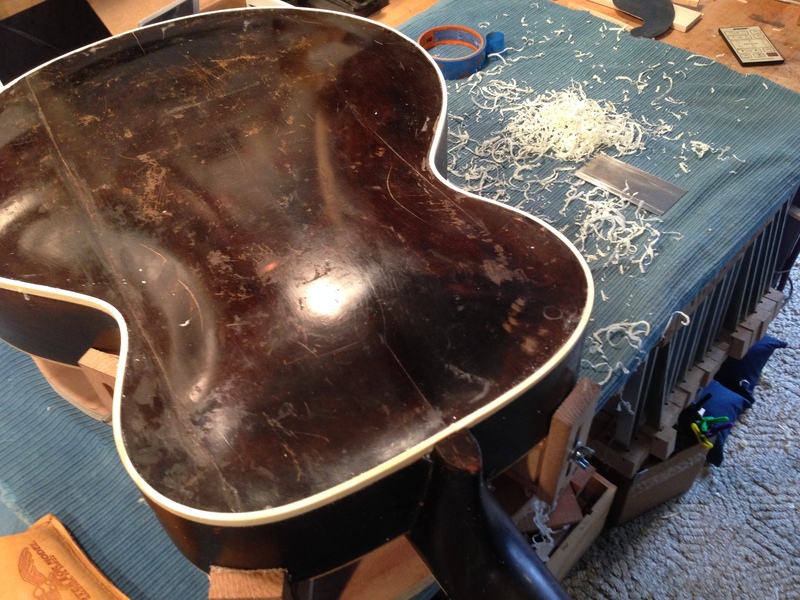 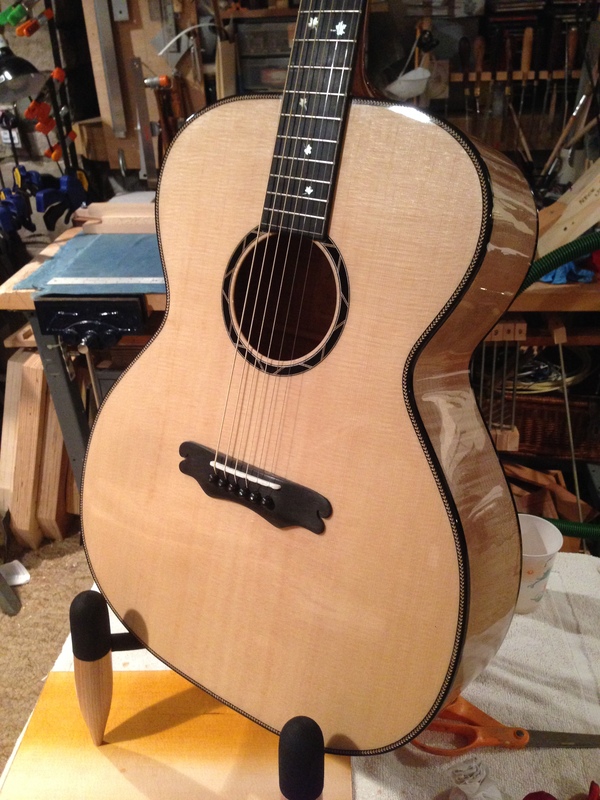 AAAA Lutz spruce top with Black and white geometric rosette, Back and side are of AAAA Quilted maple. 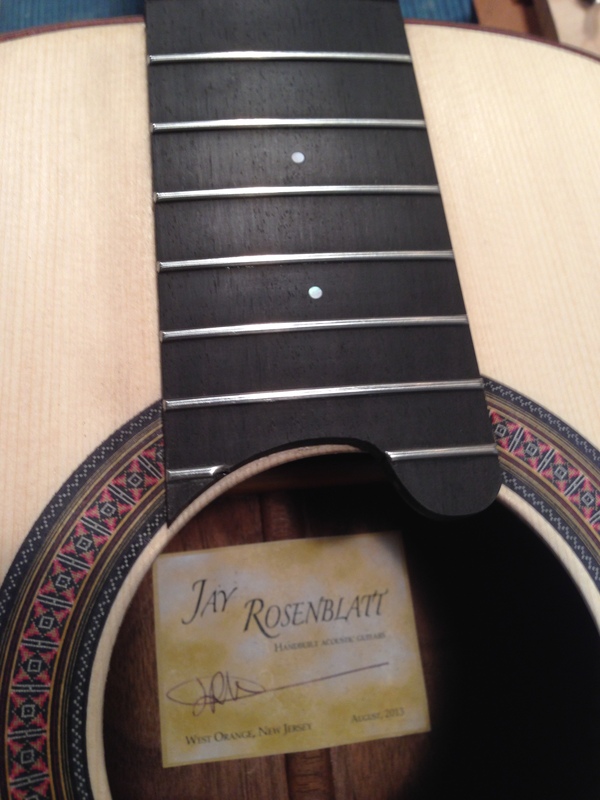 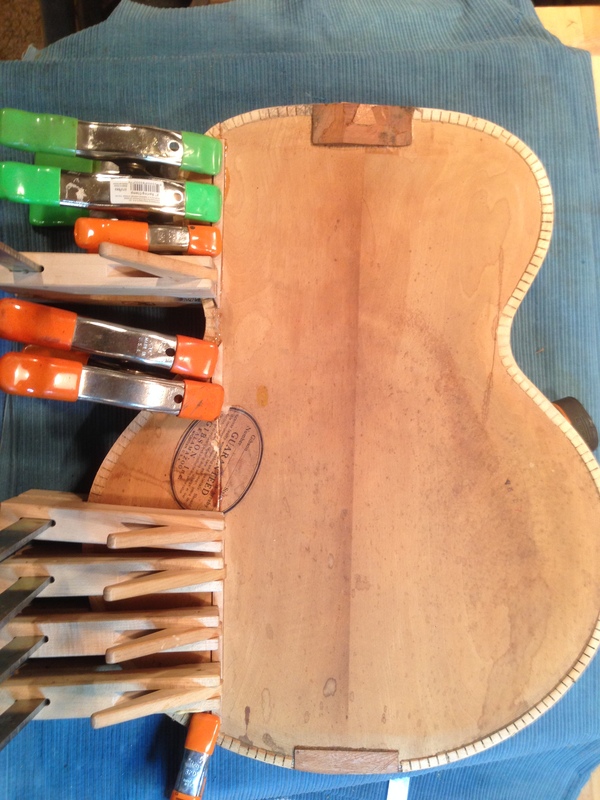 The neck is a 5 piece laminate of 40 year old mahogany with a double maple center strips, an ebony fingerboard with hand cut white gold MOP maple leafs motif, the head plate of ebony with a gold white MOP, JR logo, fingerboard is bound with ebony and a strip of maple, bridge of ebony, the body bound with ebony and b/w purfling and trim. 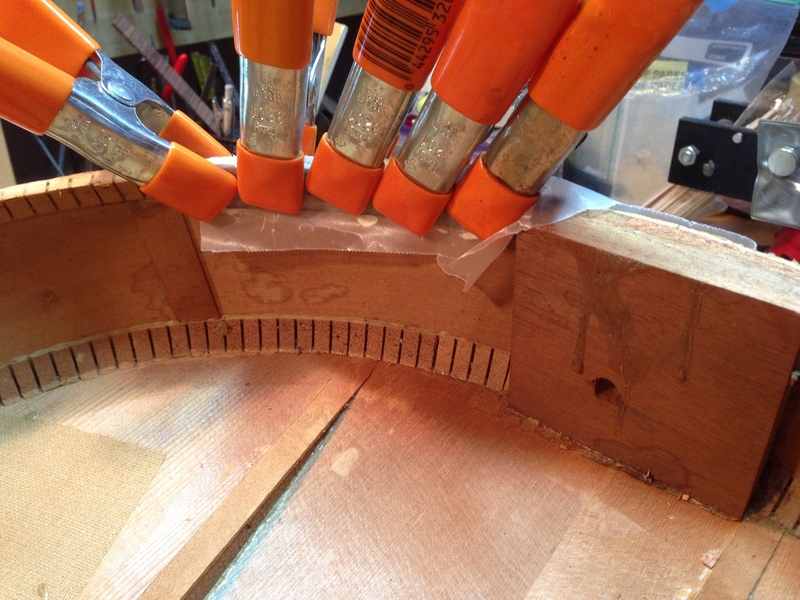 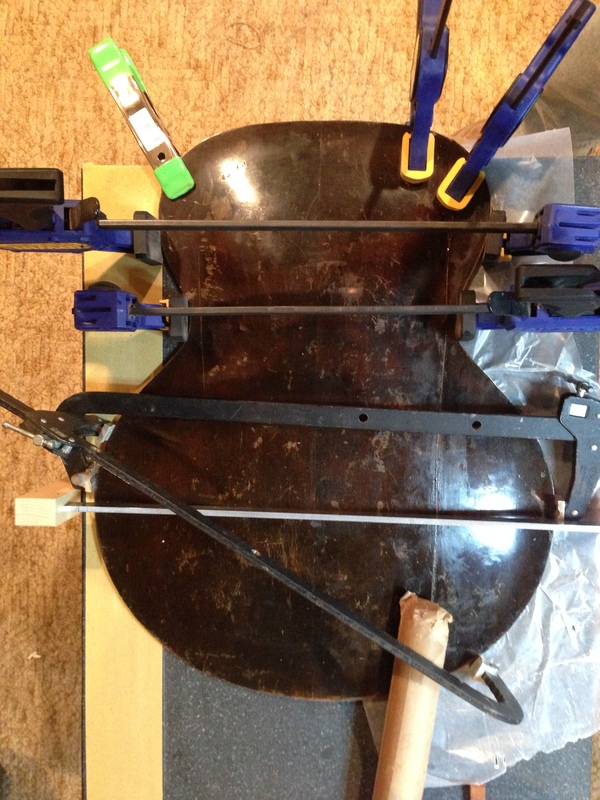 Assembly of major body components are constructed with hide glue. 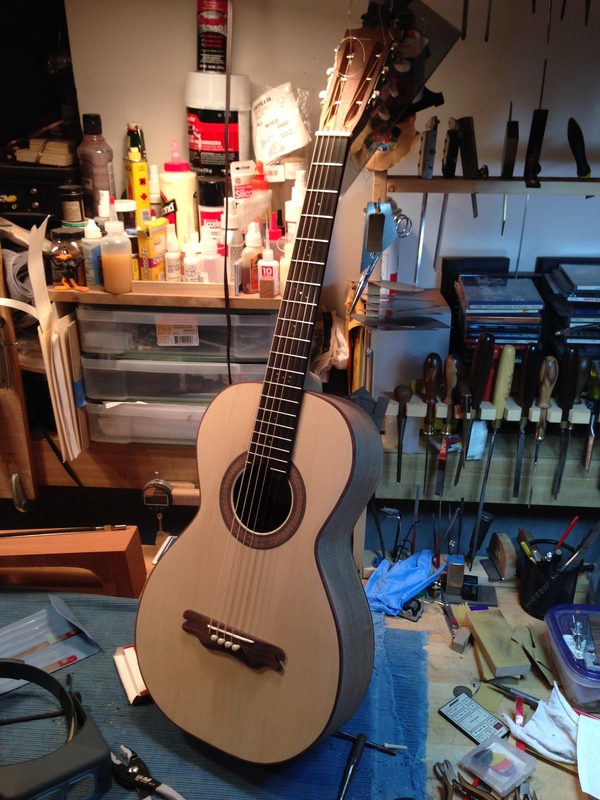 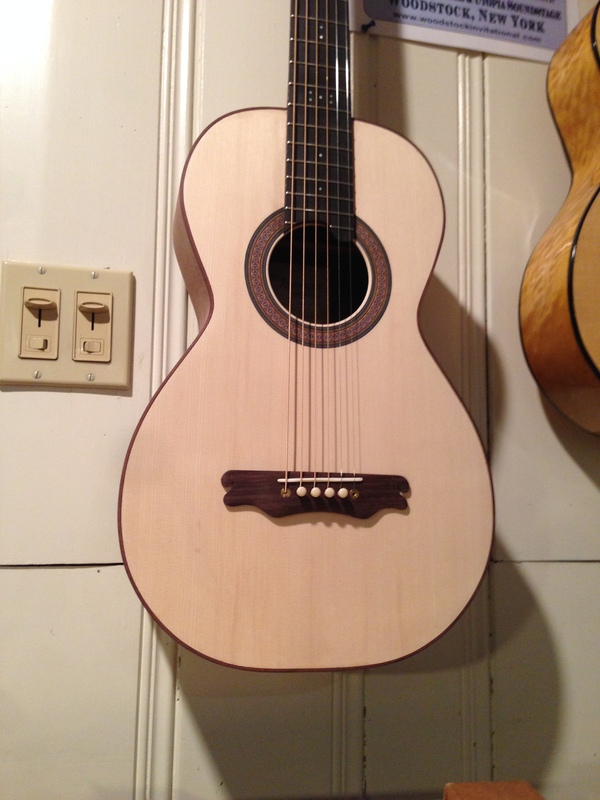 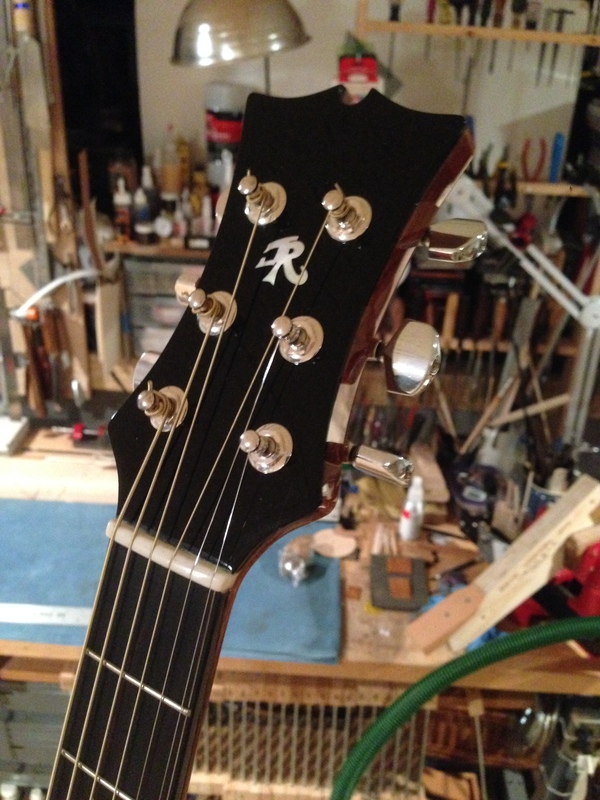 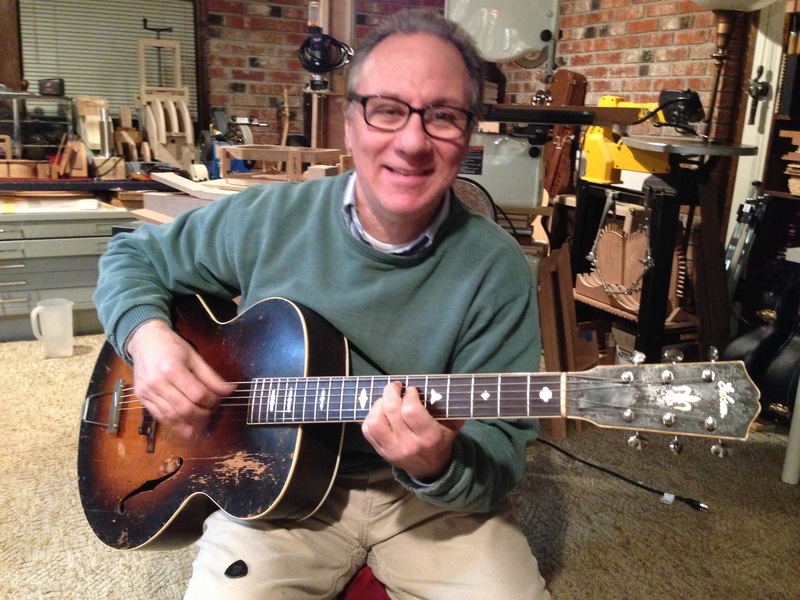 I recently completed the build of a Walnut parlor guitar. 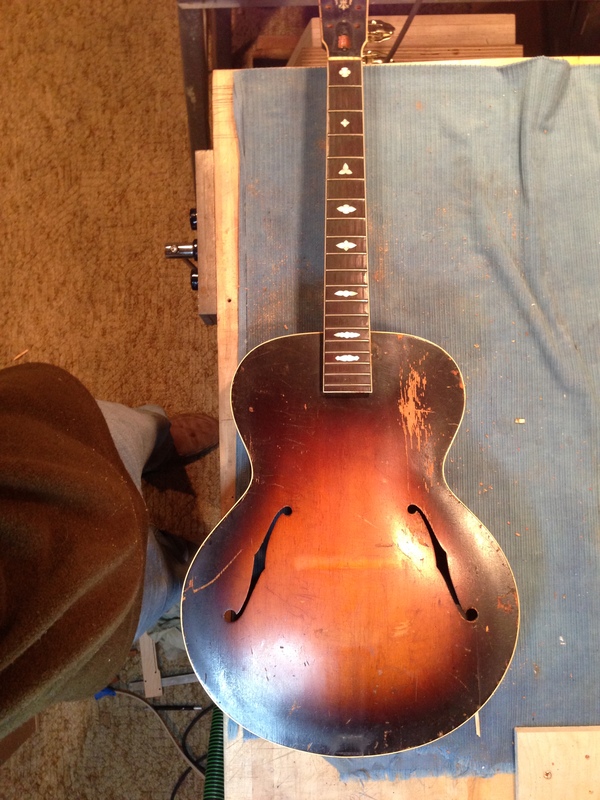 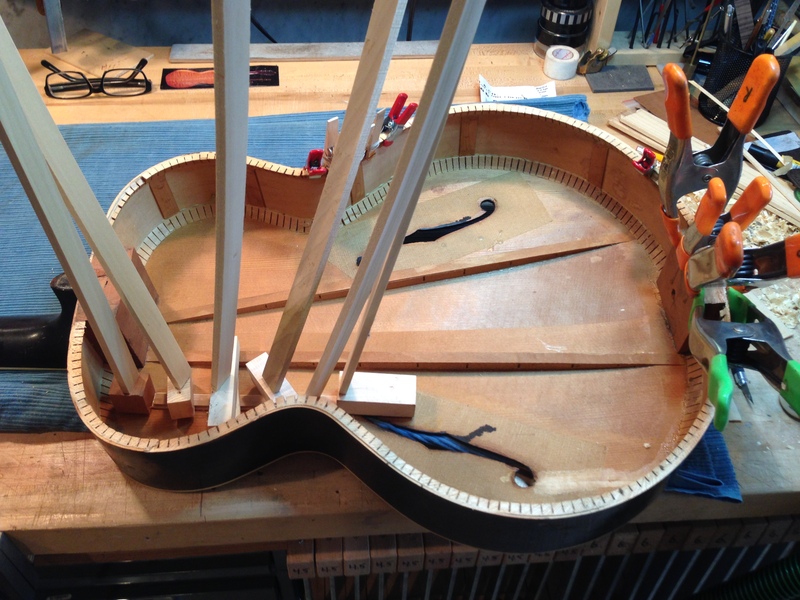 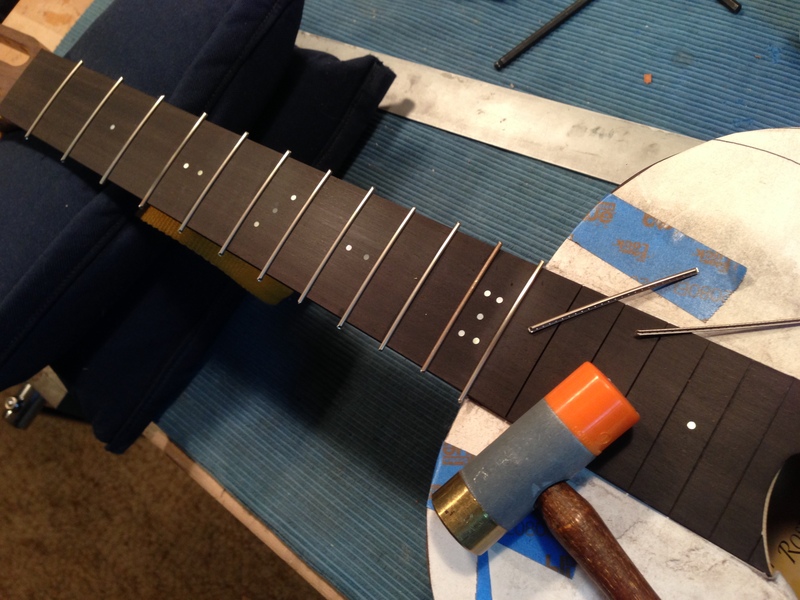 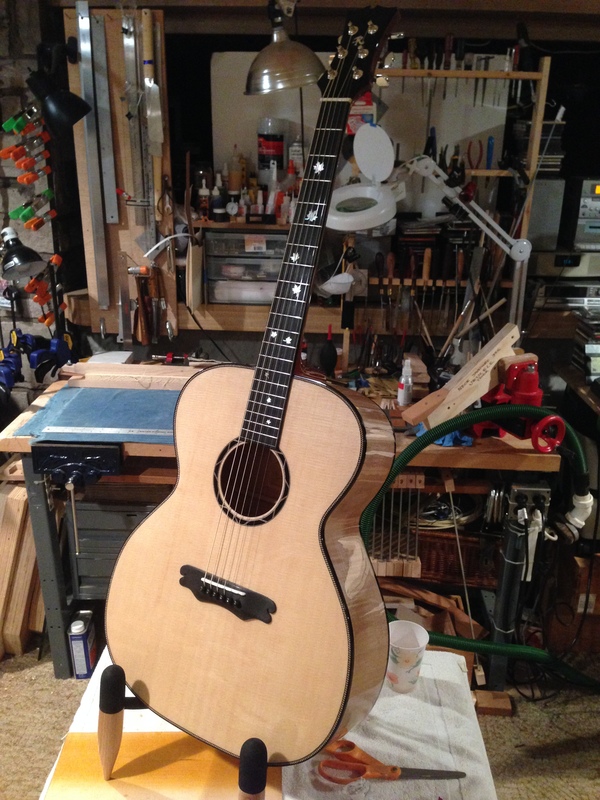 This is currently at the finishing shop getting a nitrocellulose finish.